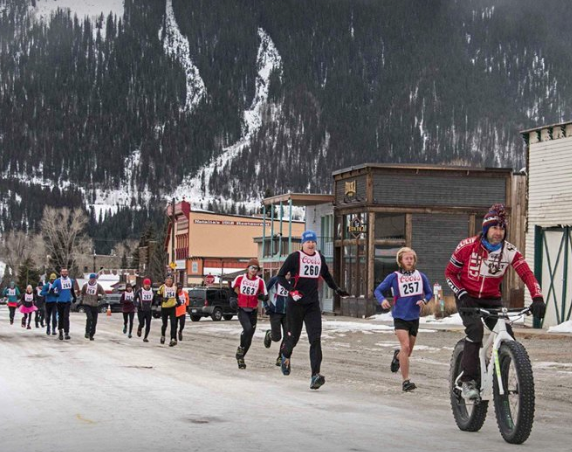 The 9th Annual Winter Warrior 10K Snow Traction Race: February 10, 2019. Register at the venue on race day! 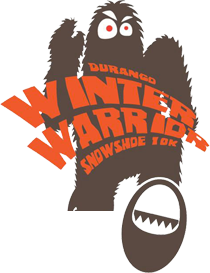 In 2009, 2x World Mountain Snowshoe Championship racer Steve Ilg designed this race course (which is open to the General Public during winter season for a small fee at the Durango Nordic Center) to meet the Race Course Standards of the United States Snowshoe Association (USSA). It was the first USSA-Sanctioned Course in the Four Corners! Come experience this world-class Race Course at YOUR OWN PACE! Growing up with that Club and having such amazing coaches such as 3x Olympian Mike Elliot, among many others, was pivotal in keeping my adolescent energies focused on what later turned out to be vital life-enhancing teachings such as the qualities of mental strength, perseverance, trust, teamwork, goal-setting, and focused fun! Now, my own daughter has a chance to benefit from DNSC and I want to help keep it that way…will you help me? Over the years, The Winter Warrior has been able to give several hundred dollars to this Club and we want to keep it rolling! Read more about DNSC and contact me if you'd like to help out! THANK YOU Durango Running Company, Durango Nordic Center, and Tailwind Nutrition and to all the volunteers and most of all the Winter Warrior/ess’s that took Sacred Pilgrimage! Video of the 2019 Race! Get all the latest info on our Facebook Page.